Can Landlords Accelerate the Eviction Process? If you are a residential or commercial landlord, you are probably familiar with the long and complicated process of evicting a tenant from your property. Despite the credit checks and references required to obtain a rental property, it’s a common problem for tenants to encounter financial setbacks and default on their rent payments. This leaves you, the property owner or manager, to watch out for your own interests by commencing the eviction process. The problem is, the eviction process now takes longer than ever before, even for uncontested cases. As more tenants obtain legal counsel and engage in legal tactics meant to buy time by delaying the inevitable eviction, every other eviction case behind it gets pushed back another day, week, or month. To make the problem worse, most court systems face a shortage of Sheriff deputies and court personnel. Fortunately, there’s a bit of good news amid the gloom. By relying on a skillful and experienced process server and attorney, you can speed along the eviction process to resolve your bottom line in a more efficient manner. These tips will guide the way. 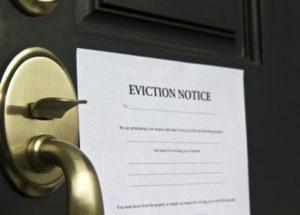 First, when you use a process serve to deliver the notice preceding the eviction, be sure that all adult occupants are named, even if they aren’t on the lease somehow. Of course, by using a reliable process server, you can guarantee that the papers are served properly and will not need to be reserved for legal purposes. Second, include all paperwork to your lawyer at the beginning of the case, rather than having it trickle in. You’ll need the notice, proof of service of notice, and lease agreement. Any related correspondence between yourself and the tenant, as well as the tenant’s payment ledger will also prove helpful. The more you can provide up front, the more swiftly your lawyer can send the case to court. Third, sign and return all paperwork on the same day that it is provided. E-filing is becoming more common, which allows for immediate responses. As long as you stay on top of this case, you will be able to fight through a crowded court system to have your problems solved.